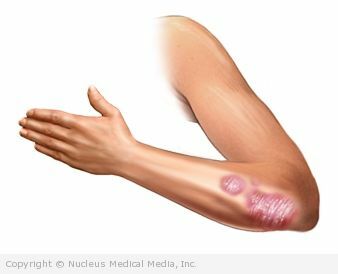 A pressure sore is a lesion that develops on the skin and underlying tissues due to unrelieved pressure usually over a bony prominence. The skin and tissues rely on an adequate blood supply for oxygen and nutrients. When tissues are compressed for an extended period from hours to days, blood supply can be cut off, leading to development of a sore. 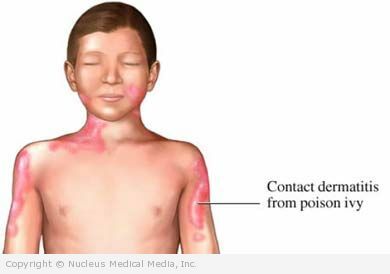 Poison ivy, poison oak, and poison sumac are plants that cause a rash in those allergic to them. This rash is caused by a chemical in the sap. About 50%-70% of people are sensitized to this chemical and are, therefore, allergic. Virtually everyone will eventually become sensitized if repeatedly exposed. 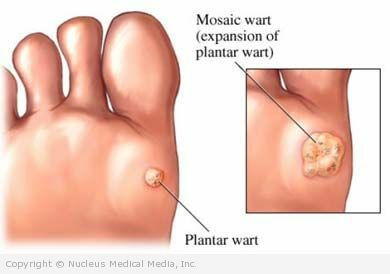 Plantar warts are growths on the soles of the feet. They are often mistaken for corns or calluses. The warts are different because a virus causes them. They grow in clusters and are usually flat. A plantar wart can often be distinguished by numerous black dots visible on their surfaces. Although plantar warts are generally harmless, their location beneath the feet can make them very tender. They also have a tendency to spread locally to other sites on the foot and elsewhere. The immune system produces antibodies. 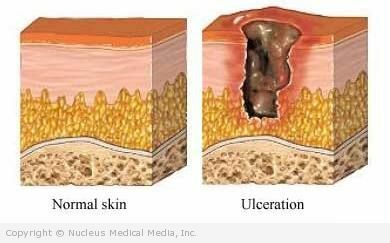 These cause the skin and mucus membranes to break out in blisters and burn-like sores. What causes the body to attack itself is not known. Sometimes a drug can cause symptoms.